Another critical patch for if you have had issues upgrading from 3.14.x and early versions. Old block/item ids are kept when upgrading from versions prior to 3.15. 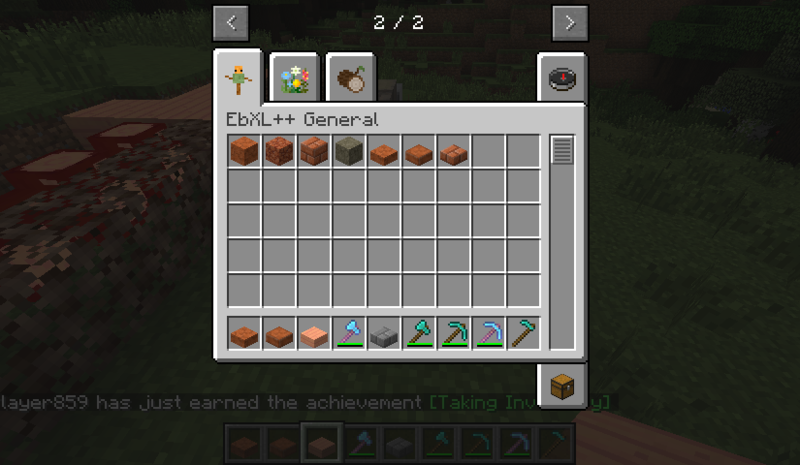 Blocks/items can once more be disabled by setting them to 0 in the config. Some blocks that are used in recipes such as redrock can not be disabled without all the things that are made from them being disabled as well. 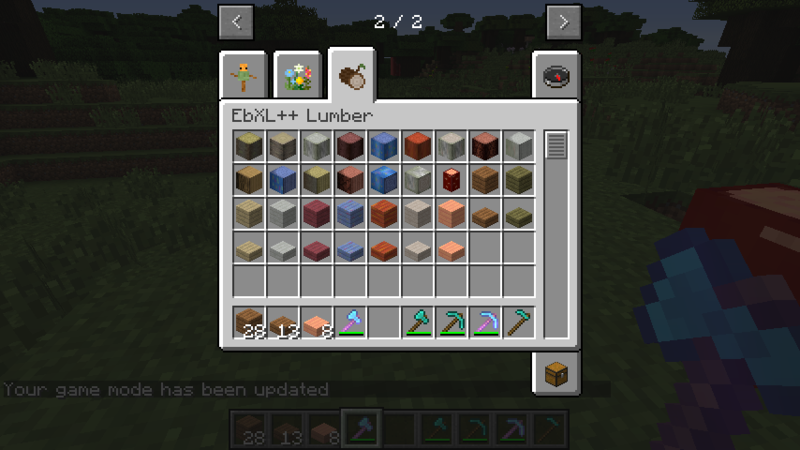 The redrock in the Forestry carpenter recipe has be fixed so that it does not use a random fluid instead of water. Well it took longer that I had hoped, but we have made some great progress. All of our terrain blocks with the exception of quicksand are in game. In relation to terrain blocks, I finally took a look over at the the terrain generation code, namely the chunk constructor code/biome filler/topblock code, and it looks like we will be able to use any type of block, even if it has metaData in terrain generation. We haven’t had a chance to test this out, but what it means if I read the code correctly is that we can use any type of block as the top of the biome, and what’s more we can pack up to 32 block types into the existing block id’s that we already use. 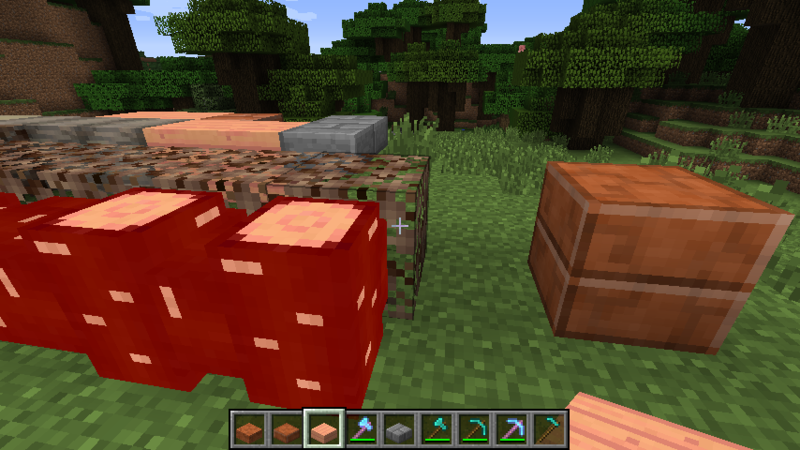 The mini log got a bit of an update in that you can now click past it if the bounding box does not intersect what you are looking at, meaning that you can interact with blocks behind the mini logs if they don’t connect to something and extend their bounding block to block you. So you might be wondering what is left to complete, well at the moment we still need to get stairs added into the game along with the brick wall type brick for the Redrock and while I was at it I considered adding wooden fences and gates for all our plank/wood types and after talking with the rest of the team, I think it is something we would like to try to do. After that we also have the flowers/plants that need re-added and our saplings. 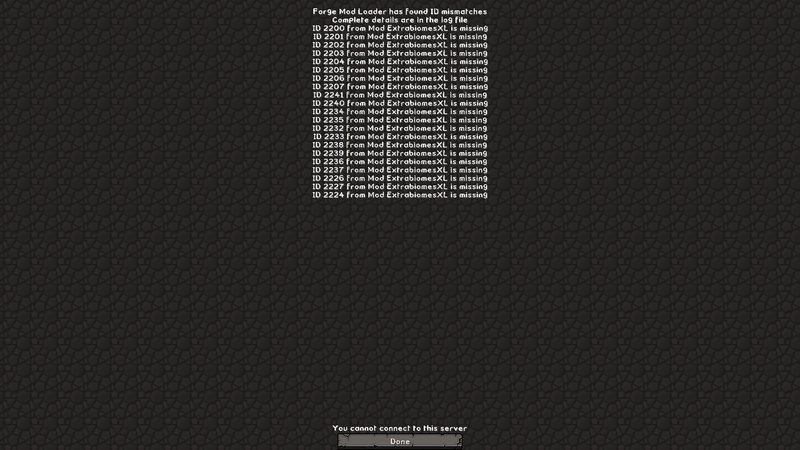 Once that is complete, I will probably be calling EbXL for Minecraft 1.7 block complete. Then I will probably need to take a couple of days to do some maintenance on 3.15.x for MC 1.6.4 before I can get to work on the fun stuff, world generation. Yes, I fixed it already. 😛 Shecky shouldn’t post so late at night when he should be in bed! lol The post on the forum thread and the OP were correct. This is the old config where the blocks where still broken but there is also the Woods missing there are still missing now! Th only way that this would happen if you were doing an upgrade from 3.14.x to 3.15.4/5 is if you attempted to update prior to 3.15.1/2/3 and then forgot to delete the new config file. I do apologize for the issues you an your server have been having, but I have just rechecked verified that the process works properly again as long as you don’t already have a faulty version of extrabiomes.cfg in the config directory. so i can fix it with simply delte the config file and reboot the server? As long as you have the config file from 3.14.5 in the config/extrabiomes/extrabiomes.cfg in place and delete config/extrabiomes.cfg from the config folder then it should upgrade flawlessly. If you have run a newer version of the mod before then the old config file will have been renamed and you will need to change it back or restore it from your backups prior to updating. If you restored the old config file from a backup then make sure that it is the only file in config/extrabiomes/. Well that ended up a bit wrong! Ok if you could send the original config file if you have it from a backup and send it to ebxl.team@gmail.com, I’ll have a look at it and manually update it for you. There is no time in my testing that it has show to not work now that the fix has been applied and to my knowledge you are the only one still having this issue, but I want to make sure that it is not something more serious.